It is with great sadness that we announce the passing of Mrs. Delphine Elaine Conn in Red Deer, Alberta, surrounded by her loving family, on Wednesday, June 6, 2018 at the age of 78 years. Delphine was born in Innisfail, Alberta on August 31, 1939, to Agnes and Emerson Berry. 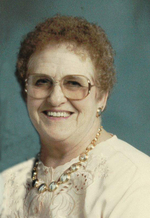 Delphine will be lovingly remembered by her children, Kenneth (Mary Ann), Greg (Judy), Lisa (Huw) Williams and Elaine (Pat) Veillette; seven grandchildren, Tiffany, Devon, Matthew, Alicia, Sara, Gabriel and Xavier; and four great grandchildren, Colton, Shae, Clayton and Natalie. Delphine was predeceased by her loving husband, Lyle (2002) a brother, Mervin Berry and a sister, Fay Stewart. A Funeral Service will be held at the Innisfail United Church, 4720 - 48 Avenue, Innisfail, Alberta on Tuesday, June 12, 2018 at 2:00 p.m. with The Reverend Sarah Fanning officiating. Interment will follow at the Innisfail Cemetery, Innisfail, Alberta. Arrangements in care of Parkland Funeral Home and Crematorium, 6287 – 67 A Street (Taylor Drive), Red Deer. 403.340.4040. To send flowers to the family of Delphine Elaine Conn (Berry), please visit our Heartfelt Sympathies Store.